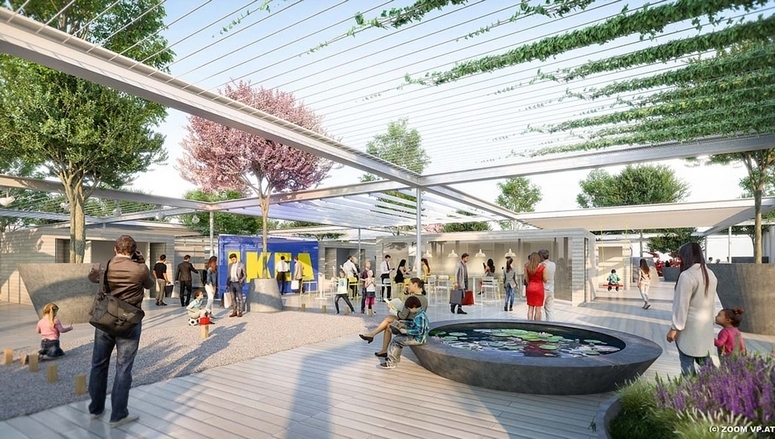 The Swedish furniture giant may still be in the planning stage for this project, but worldwide first Ikea city-location at Vienna’s Western Train Station is already beginning to take shape. On their quest for new ideas, the popular furniture store invited nine architects to make their proposals. 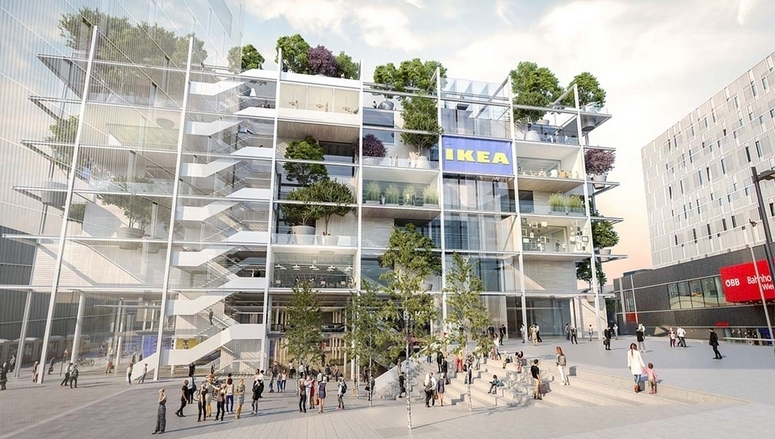 Ikea’s architects liked the proposal of Viennese architects “Querkraft” so much that they invited them to develop a concept that is now the basis for the necessary approval procedures. 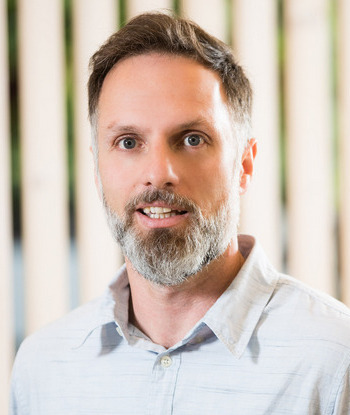 “Over the past months, we worked very hard on ideas to make the building an attractive meeting point for all and, at the same time, ensure that it can meet our requirements regarding sustainability as well as our conceptual requirements,” as Ikea’s Property Manager Rodolphe de Campos describes the work of the past months. He adds that “The project idea is our basis for a more in-depth inspection of the site.” The goal is to check the project’s technical and economic feasibility. Ikea already has started taking the necessary steps. Ikea at the Western Train Station of Austria’s federal capital will be completely different from any of the company’s previous furniture stores. The planned object will hold many surprises–particularly because it will extend over several floors and therefore needs new approaches. One of the special features is that one will be able to see and try out everything. However, one can only buy portable articles that can be taken along on the subway, carried on foot or transported by bike. According to the concept, everything else can be ordered and will be delivered quickly to the respective address. The reason for this concept are changes in mobility and shopping behaviors–especially in inner cities. Ikea responds to these changes, as many people living in Vienna’s inner-city districts no longer have cars. The location on Mariahilfer Straße is perfect for them because there are two subway lines, several tram lines, trains, bike lanes as well as pedestrian walkways leading to it. Consumer behaviors are changing as well: people like to go shopping, try new things, touch and test them, and consult specialists to plan their projects. But they no longer want to haul larger purchases home by themselves but prefer to have them delivered. The Viennese architects came up with something truly special for the exterior: a façade grid provides a welcome variety of open and closed elements and makes it possible for trees to grow on every floor. Consistently greened façade elements will be added to all sides, as well as light-flooded areas, which can be used by visitors, and open, bright shop windows. The roof of the new furniture store, where trees and plants will create a comfortable atmosphere, will also be accessible. Follow @across_magazine on Twitter and @across.magazine.europe on Facebook, sign up for our ACROSS Newsletter and subscribe to ACROSS Magazine.